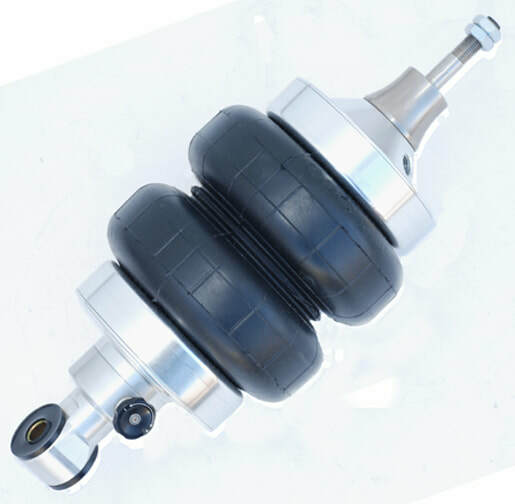 Full Tilt Street Rods now carries Tapered Spring coil-over shocks for Mustang II IFS front suspensions! 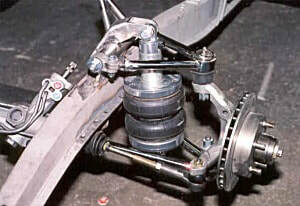 And we also have applications for GM and Chrysler cars. Staring at just $565.00/pair. 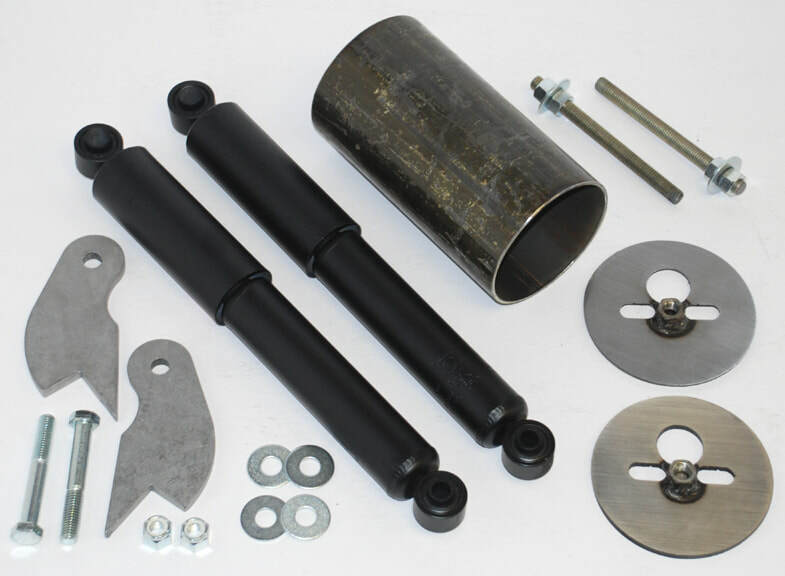 Includes thrust bearing and wrench kit (a $64.95 value). Call 970-255-8890 today. 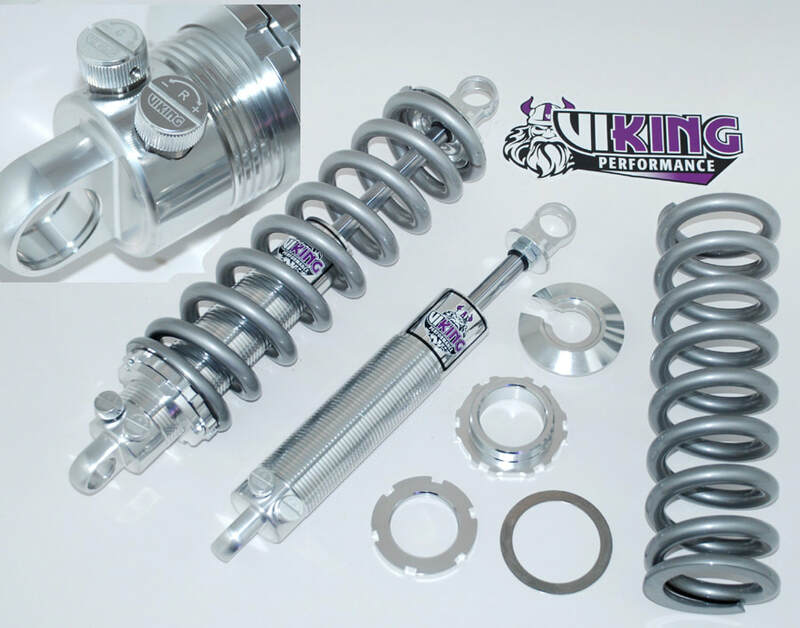 NOW you can get Viking Performance's incomparable double-adjustable ride quality (rebound and compression) at prices comparable to most other single-adjustables! 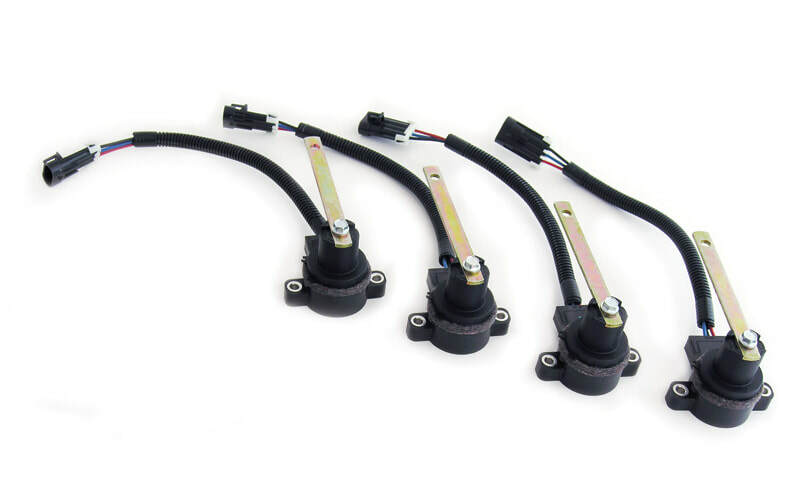 Coils are guaranteed to stay within 2% of original specs for the life of the spring, and they're MADE IN THE USA!! Give us a call at 970-255-8890 and we'll fix you up! 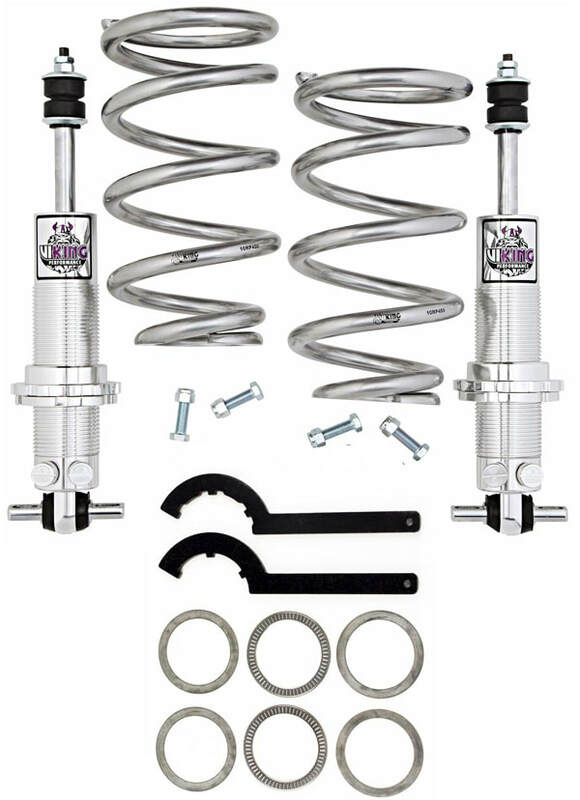 Chrome shocks are just $90/pair. Call 970-255-8890 to order your application. Wanna get REALLY trick? 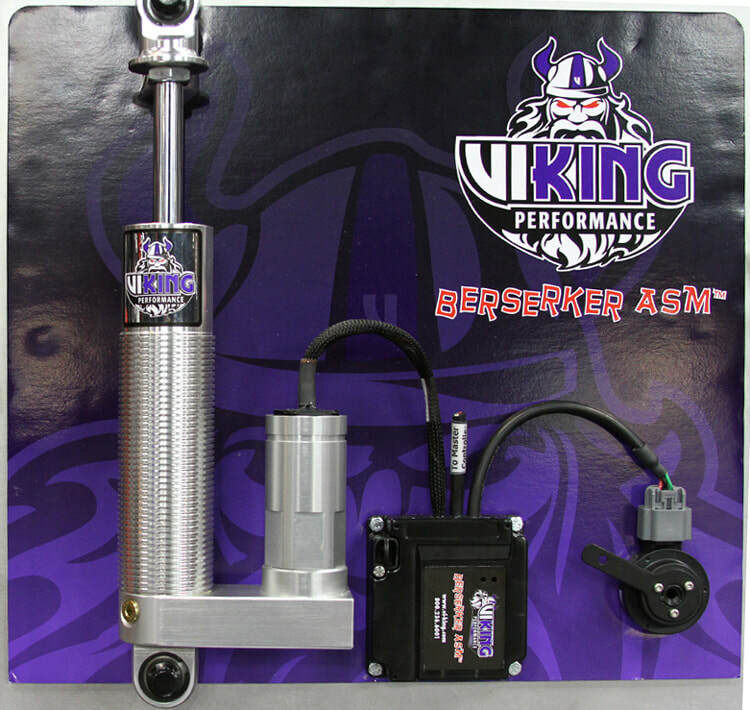 Try Berserkers which are elecronically adjusted a THOUSAND times a second to sense the way you're driving! Call 970-255-8890 for details and pricing. 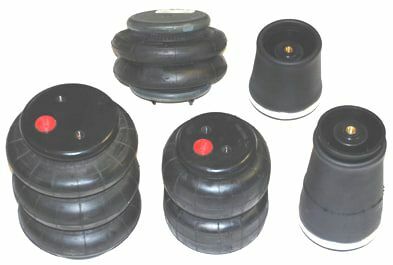 Here's Full Tilt's exclusive Air Bag and Shock Spacer Kit for Mustang II IFS systems. A must-have when you need to space the air bags down from the top hats. 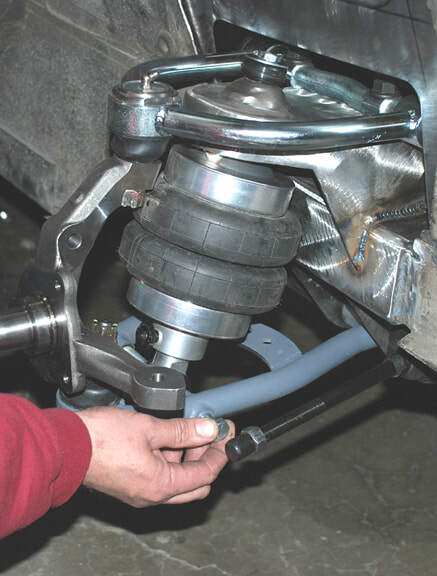 Are you unsure which one of the tons of available shocks and air bags is best for you? We have over 25 years of hands-on experience and LOVE to talk rods! Call Clay at 970-255-8890. 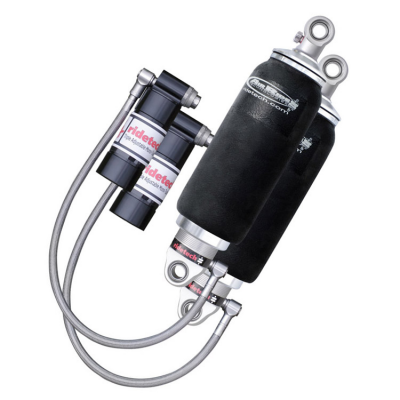 Full Tilt is proud to offer Air Ride Technologies' awesome air bag & ShockWave suspension systems, and also offers Chassis Tech air bags for most domestic and import car and truck applications! Shockwaves start at only $999.95/pair. 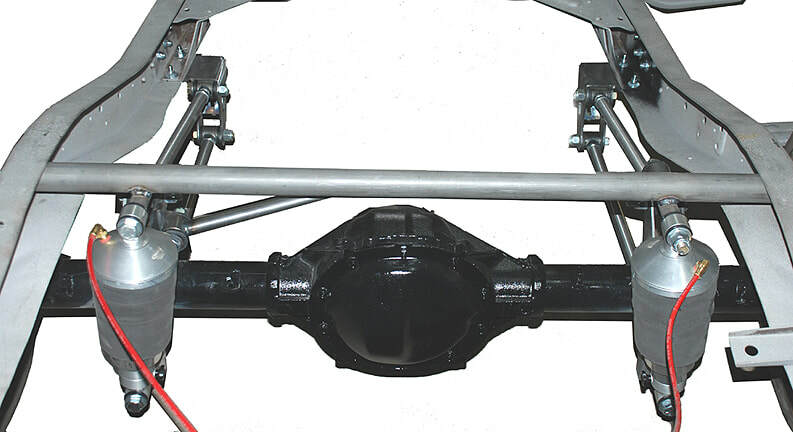 Air Ride Technologies' ShockWaves with Full TIlt's Rear Parallel 4-Bar Suspension. 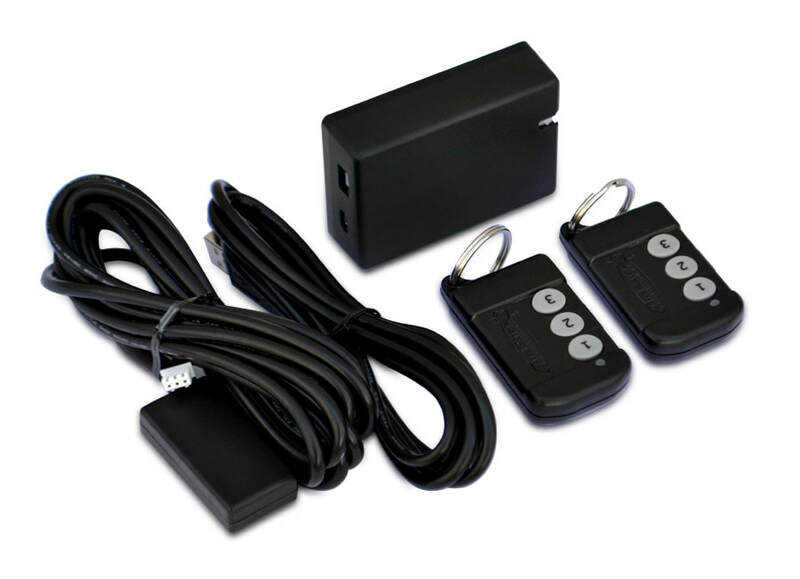 The New AirPod offers a completely integrated air compressor system that eliminates hours of installation time! 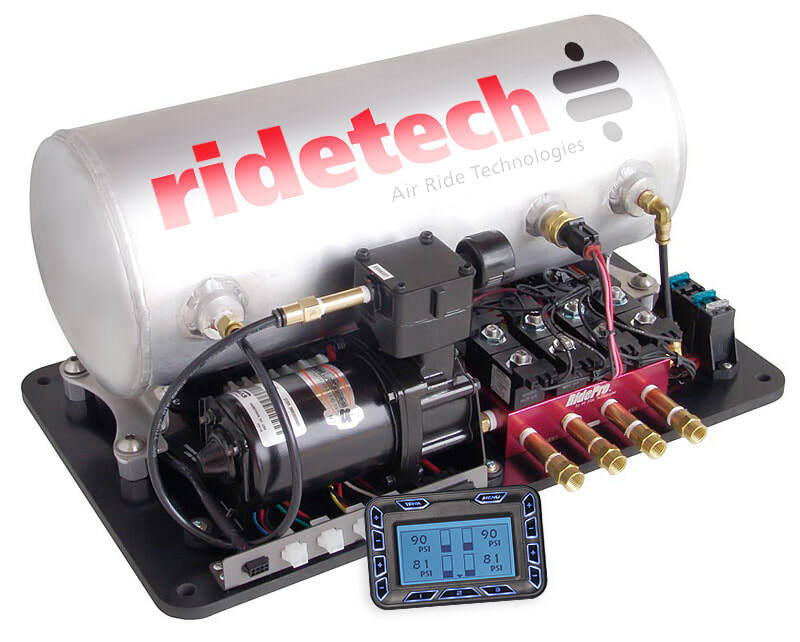 We have packed our new RidePro system with accuracy, repeatability, versatility, visibility and a wide range of other abilities to give you unparalleled levels of control - all at the push of a button.